Full Team Aggregate results provided by our official sponsor, Berger Bullets, HERE. Full Grand Aggregate results provided by our official sponsor, Berger Bullets, HERE. 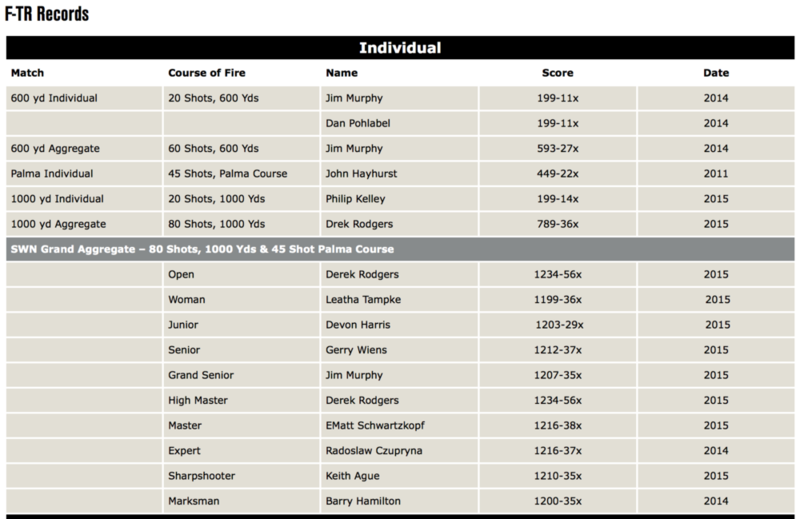 Full 600 Yard Aggregate results provided by our official sponsor, Berger Bullets, HERE. Full FTR Records provided by our official sponsor, Berger Bullets, HERE.